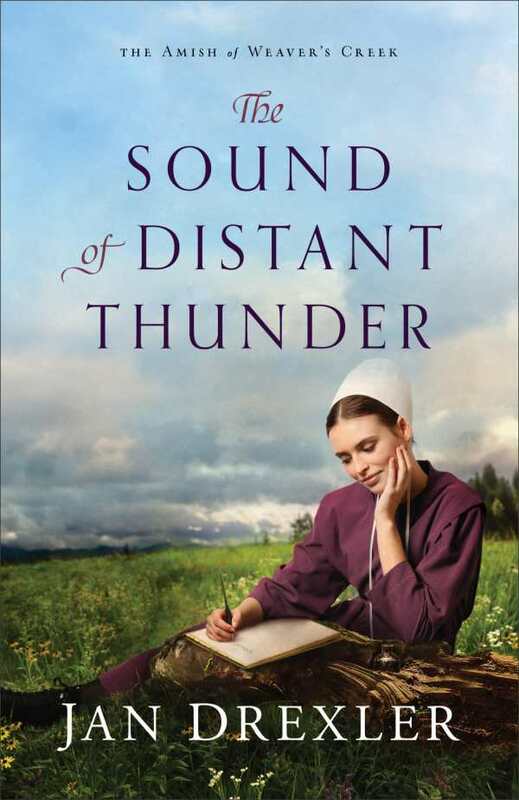 A heartwarming tale of faith and love, Jan Drexler’s Amish romance The Sound of Distant Thunder starts in 1862, as the Civil War stretches on longer than expected. The Amish community of Weaver’s Creek, Ohio, manages to keep itself separate, staying true to their faith. Twenty-year-old Jonas Weaver struggles to remain spiritually grounded in this time of great upheaval. He has yet to undergo baptism, though, and cannot function fully within his community. When his brother is drafted and faced with the option of either paying a fee or sending a substitute, Jonas doggedly takes his place. He leaves a lot behind—his longtime love interest, Katie; his family; and his connection to his faith—to join a what he hopes is a just cause. The Amish community works hard to stand apart from the worldly violence they consider sinful. They don’t allow their goods to go toward the war effort; several locals think of them as cowardly and weak. An interesting division also forms within the Amish community itself, leading to splintering and infighting. Jonas and Katie’s relationship interjects heartfelt moments into the story. Before the draft, Jonas works his inheritance acre to prepare for a family home. Because he is unbaptized and Katie is so young, they can’t yet marry; regardless, he diligently works toward their future. Their bond only deepens as they exchange letters during his war service; those letters are included in beautiful narrative asides. Jonas has a fascinating viewpoint when it comes to the war and his community. His relative outsider status allows him to step in to save his brother, but also to fight to abolish slavery. Inner conflicts between faith and morality drive his every decision, even when it pushes him away from the safety of his family and church. The Sound of Distant Thunder is an engaging historical romance.